Ganesh Chaturthi is celebrated on the birthday of Lord Ganesh (Ganapati), the god of wisdom and prosperity on the fourth day of the moons bright fortnight, or period from new moon in the lunar month of Bhadrapada. The celebration of Ganesh Chaturthi continue for one, five, seven, or ten days. In the tradition of the right hand path the first day is the most important. In the left hand path tradition the final day is most important. The festival of Ganesh Chaturthi is celebrated the states of Maharashtra, Tamil Nadu, Karnataka and Andhra Pradesh and many other parts of India. 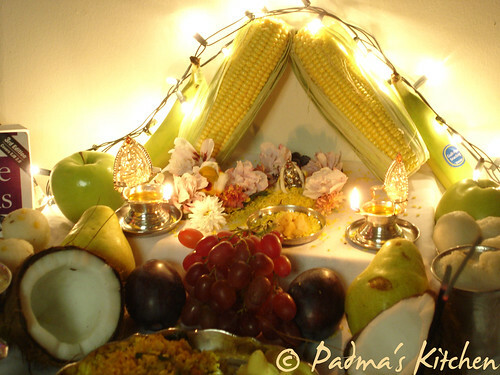 On this day we sanctify the house and pooja room for Ganesh Puja, prepare naivedyam/ prasadam/food offerings to God Ganesha. I am sharing some of my Ganesh Chaturthi celebration pictures with you all. 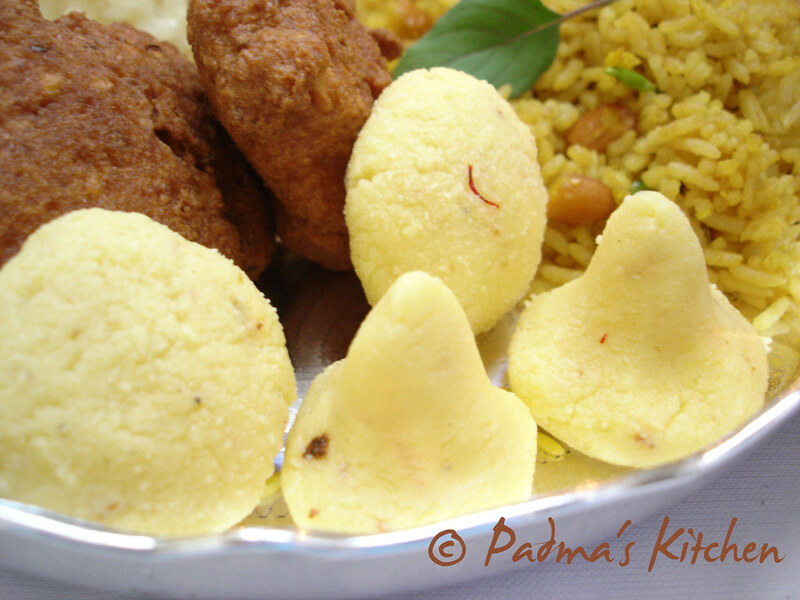 I made 9 varieties of naivedyam this time: Undarallu, Kudumullu, Paalundrallu, Pulihora, Modaks, Payasam, Vada, Chakkari Pongal and Gugullam, all are favorites of Ganapati. 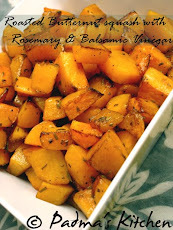 I will post the recipes for the below items later in this week. well most of the part he only did, the stirring part! 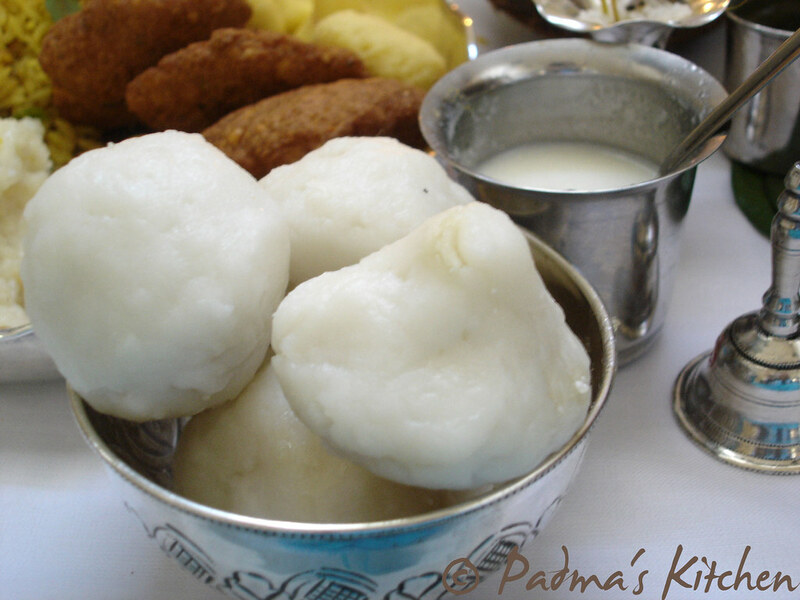 Kudumullu-Steamed rice flour dumplings with jaggery, coconut stuffing. Afterwards we made puja, JB(my dh) read the story and we chanted Ganesh Ashtotaram (108 names of Ganesha) and slokhas, performed Aarthi in the end. 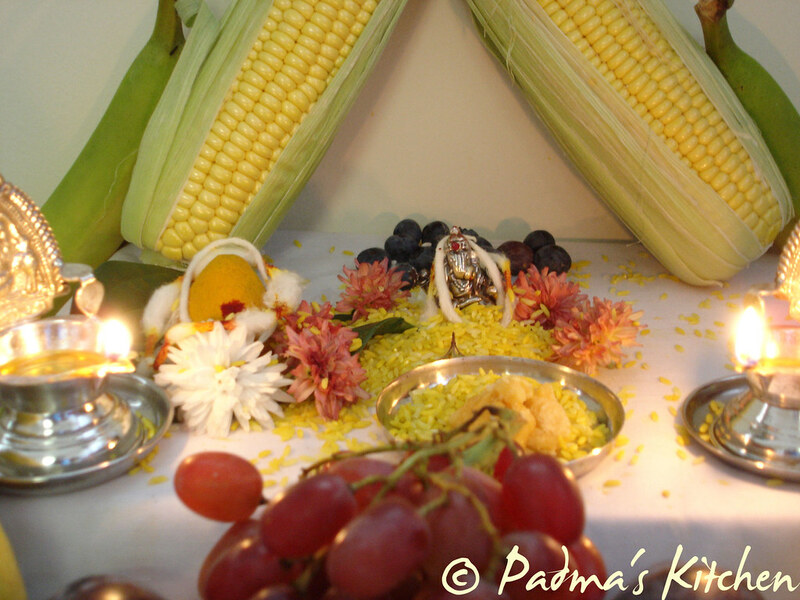 We kept both our books for puja which you can see below. In the evening we again performed aarthi and did visarjan/nirmarjana/immersion of Lord Ganesha's Idol. 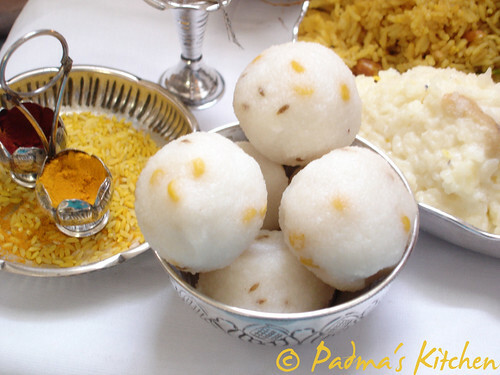 I love this festival and celebrate it very much and every yearI eagerly wait for this. Back at my mother's place in Mumbai we had a blast during those 11 days for the festival. Oh Man! I so much miss this event. You can find more on Bombay Ganesh festival from here, here, here and on mid-day. A photo of an artist giving touch-ups to the idol. With the immersion of the idol amidst the chanting of "Ganesh Maharaj Ki Jai!" (Hail Lord Ganesh). The festival ends with pleas to Ganesha to return the next year with chants of "Ganpati bappa morya, pudcha varshi laukar ya" (Hail Lord Ganesh, return again soon next year. waaw Am I the first! lovely post Padma!! pics look very nice. 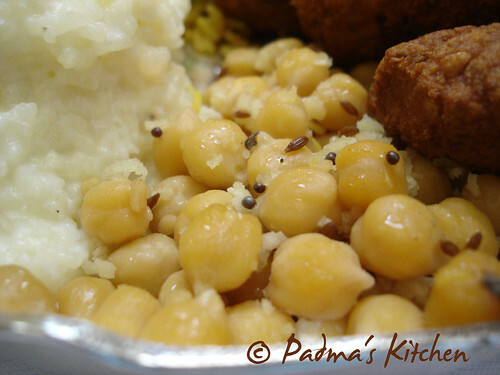 lovely post, Padma! 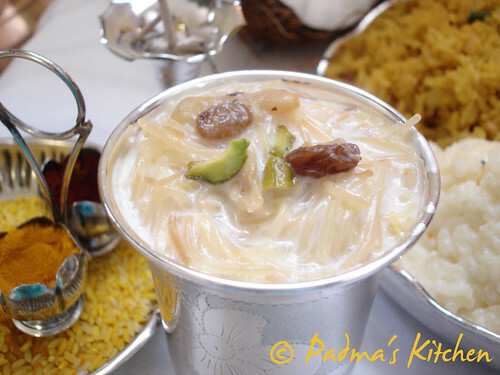 The neivedyam looks so good! Hey Sharmi, thanks for your kind comments. Ramya, thanks hope you all celebrated it as well. What a glorious feast! I hope you and the family had a blessed day. Beautiful....religious....spiritual..thats all the impression i get going through your post...A real good one!! 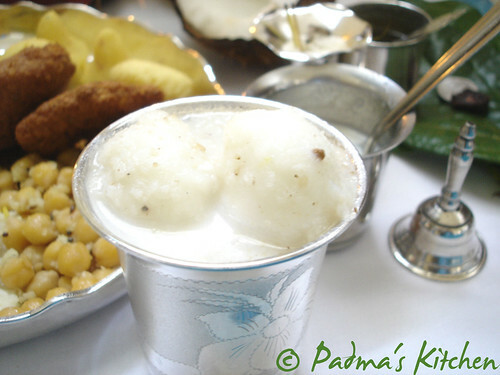 Hi Padma! what a lovely spread of neivedyam. 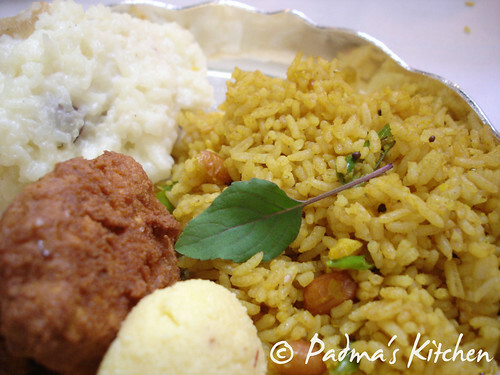 So many types of prasadam. Really so much patience to do that many. Great post. All the photos are just beautiful. Thanks for sharing dear. looks like you had a wonderful day of festivities, right? Padma, looks awesome. What a beautiful spread, lovely decoartion and lvoely presenation. padma, hope you enjoyed the festival very much! 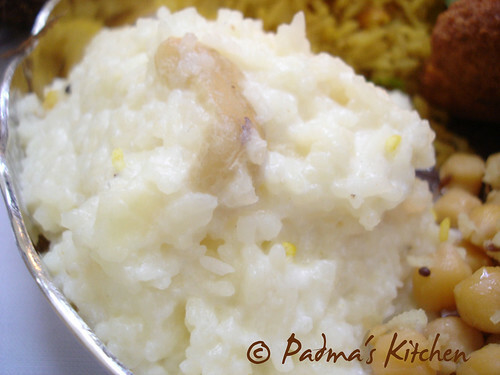 i love kozhukkatta and chakkara pongal. nice pictures! 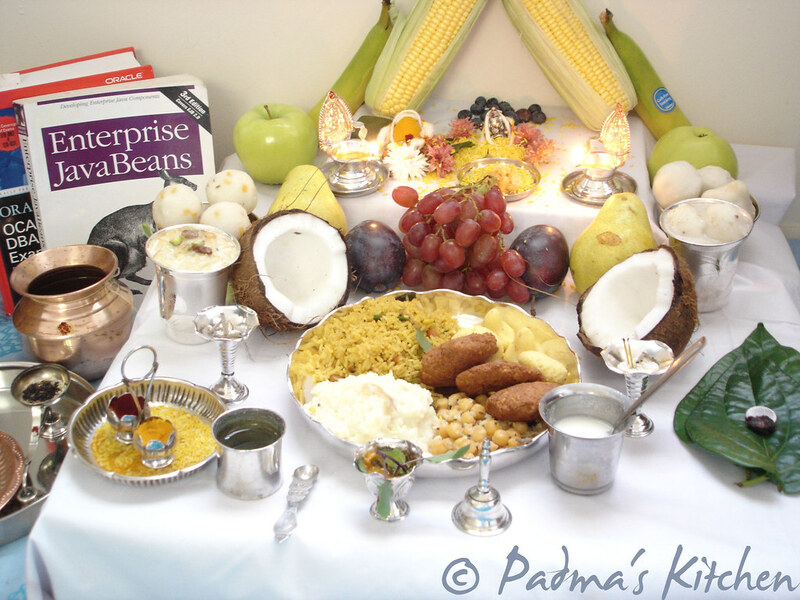 Nice spread....your puja looks beautiful. ur ganesha looks so beautifuL!! !hope u enjoyed very well. 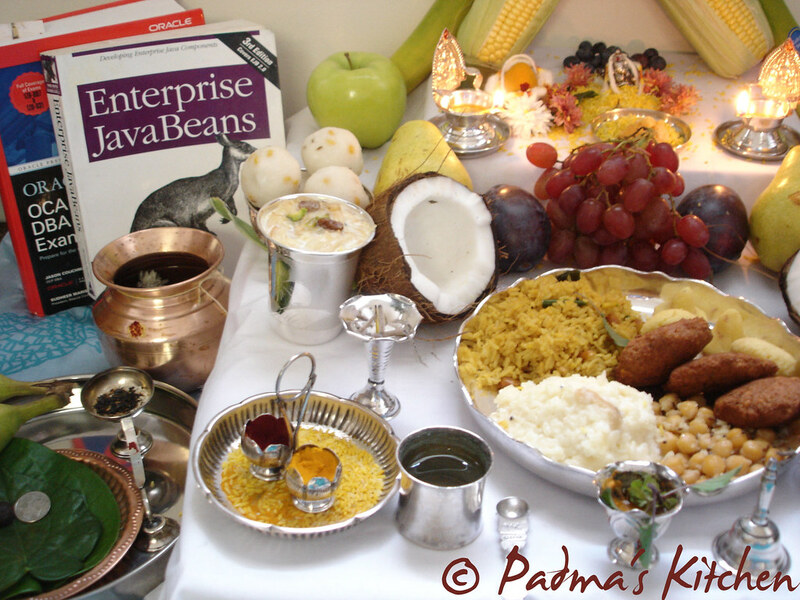 lovely pictures padma :) very nice and auspicious..
Lovely platter. That's gorgeous Ganesha Idol. Gosh...beautiful pictures. Both the decor and neivedhyam looks good. Really, you have a lot of patience in doing this and posting it for all of us to see. Good work. Very nice photos and food looks great. 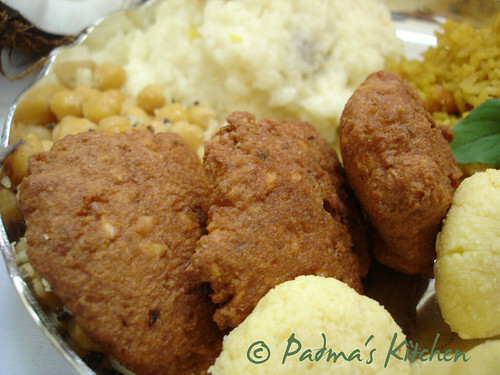 wow awesome padma, hope Ganeshji had a feast all his favorites welldone. Pictures are truly awesome! Thanks for visiting my site and leaving ur wonderful comments! 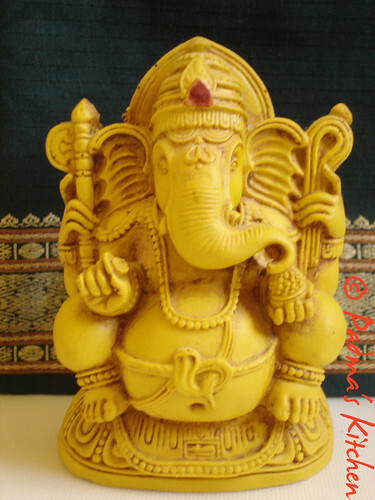 I was browsing through to get some Vinayagar Chathurthi pics to be used for Orkut comments and came across your site... wonderful ..
Ganesh Chaturthi is the birthday of Lord Ganesh, the son of Shiva & Parvati. cards are absolutely FREE !!! as u living in u.s.a but u didnt forget our traditions hands off .its very nice to c u happy vinayaka chathurthi .